Dining in this multiple award-winning restaurant isn't cheap, and with good reason. Magma German Wine Bistro specialises in authentic, tasty German / Berlin cuisine, along with a huge variety (about 250 labels) of wine from all 13 wine regions in Germany. 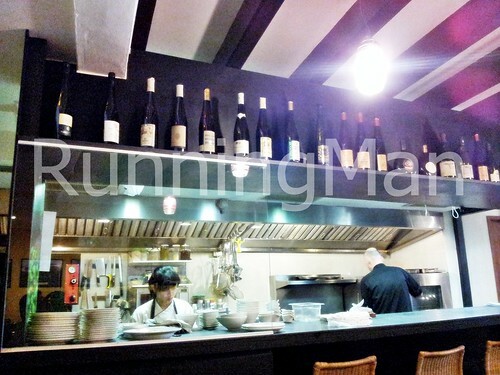 Magma German Wine Bistro is tucked away in a quaint restored shophouse, which gives it a charming appeal, but makes it slightly difficult to locate. The small interior is divided into both the bar, and the restaurant. 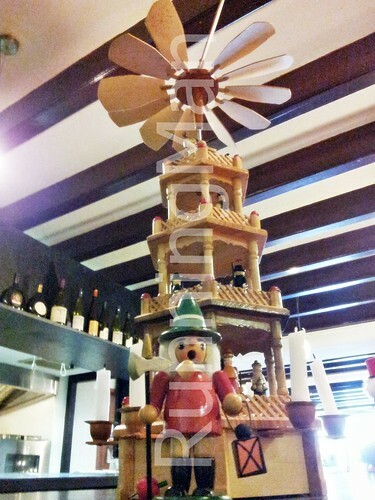 German inspired decor adorns the place, such as posters of the German wine regions, and the open concept kitchen draws the eye with its busy German chef and enticing aromas. I found the service at Magma German Wine Bistro to be very good. It wasn't busy during my visit, and staff went around to tables to make conversation with customers, as well as introduce them to the various dishes that were served. Staff also were able to show me the various types of bread available for sale, and explain how to treat them. Very good service, knowledgable and efficient. 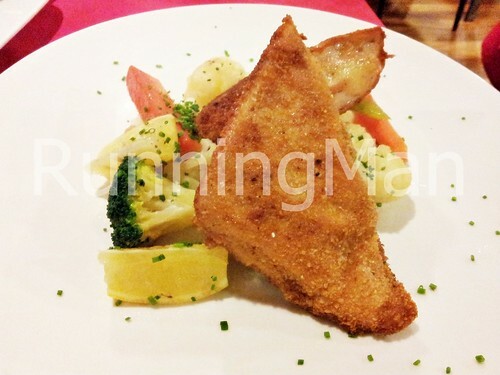 The variety of German dishes on the menu is decent, and prices befits a fine dining establishment. I found the actual execution of food at Magma German Wine Bistro to be good, in particular, the main 'star' of each done was done beautifully, like the sausages or chicken. However, the accompanying vegetables / potatoes, while fresh, are rather bland and uninspiried, simply acting as fillers / sidekicks to the star of each dish. 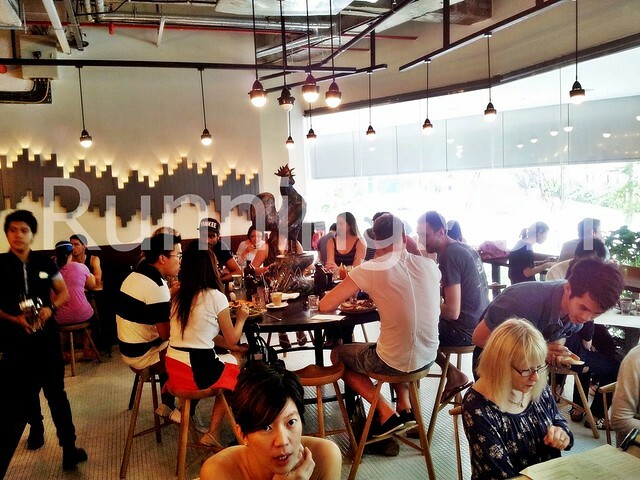 The quaint decor and open kitchen sets the mood for socialising over a long lunch or dinner. 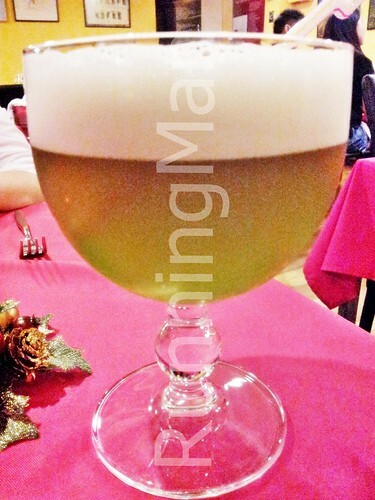 Along with the wide range of wines, there is a decent selection of German beers, like this Berliner Weisse Beer With Woodruff, which has a greenish hue, and tastes of citrus, apple and wheat. 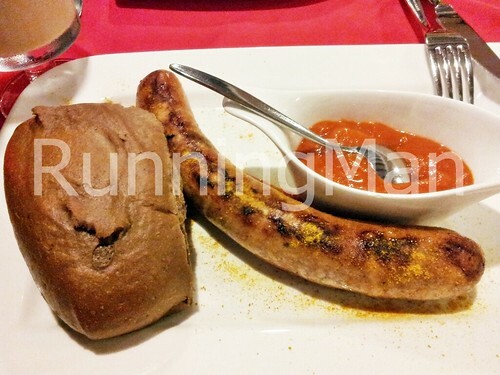 The most surprising thing about the Berliner Currywurst Pork Sausage With Spicy Curry Gravy And Schrippe Berlin Bread Roll was the dark rye bread roll, which was smooth, soft and tasty... I just had to buy more! 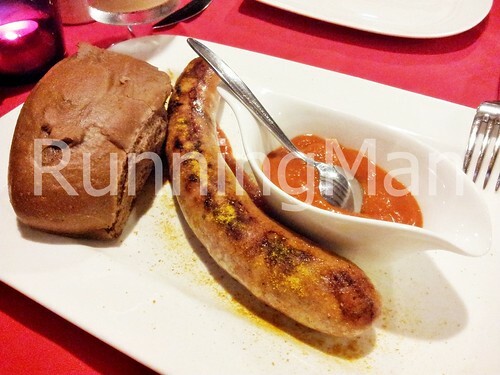 The Currywurst Pork Sausage was well grilled, meaty and flavourful, and the dash of curry powder lifted the overall taste... Good enough even without the sauce! 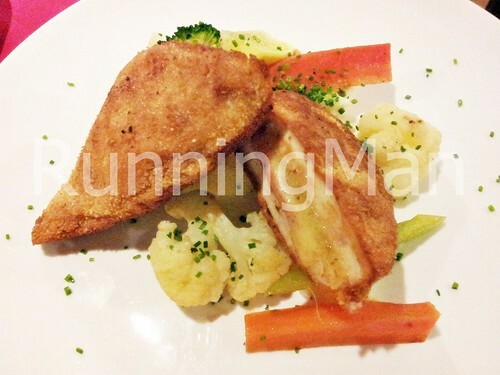 The vegetables and mashed potato in the Cordon Bleu Breaded Chicken Stuffed With Ham And Emmental Cheese On Mashed Potatoes And Vegetables was rather one note, and while fresh, did little to enhance the dish. But the chicken was well executed, moist and not dry within, with the ham and cheese enhancing each mouthful... Really good! 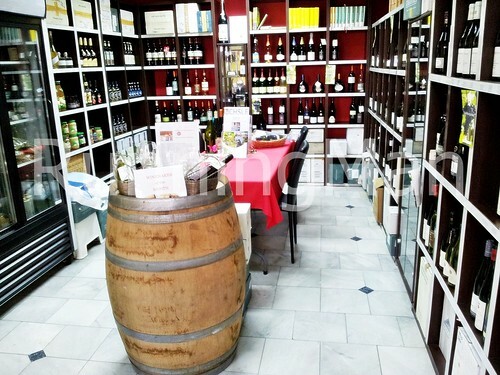 The Magma German Wine Bistro Shop features their selection of German wines and beers, along with several house-made bread loafs. In the style of that Great British English tradition, Pies & Coffee is a suitably named place that sells... what else? 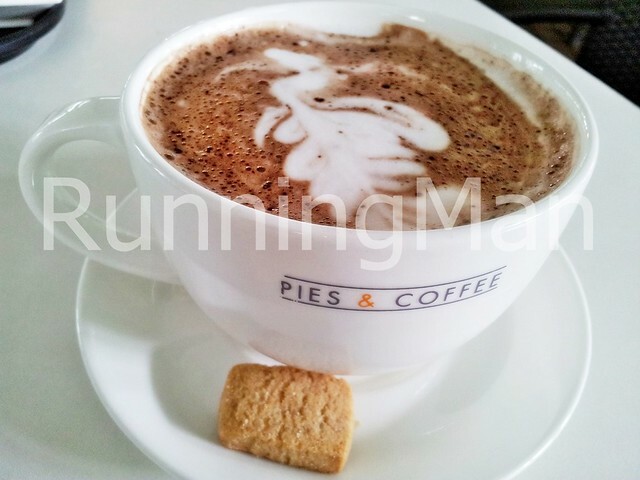 Gourmet pies and coffee! 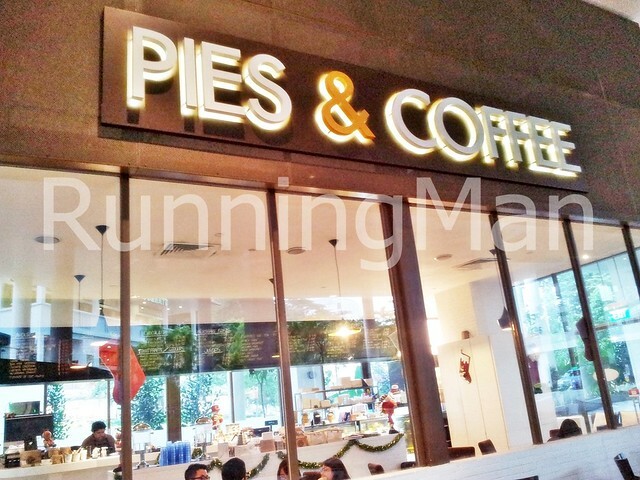 A niche concept cafe, Pies & Coffee also has soups, salads, and pastries on their menu, but most visit for their range of traditional or unique fusion pies. 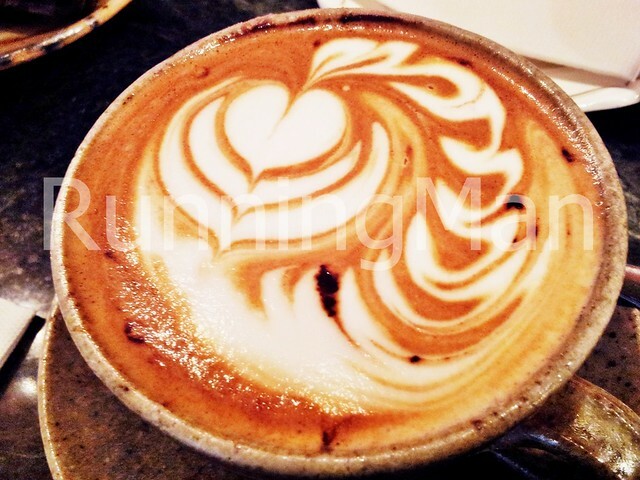 Ambience at Pies & Coffee is functional, laid-back and casual. There isn't much indoor seating, but the ample outdoor seating is comfortable, sheltered and pretty cool, thanks to the nearby fountain. However, some seats may have bird poop on them, thanks to the nearby Myna birds that frequent this place. Check before you sit! 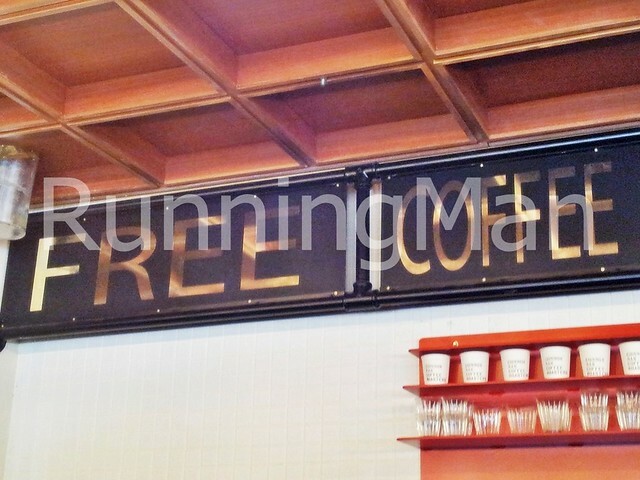 Pies & Coffee is largely self-service, with staff only helping to prepare orders and clear tables. Decent enough, and staff are quite friendly, they do make recommendations if you're unsure what to get. Food at Pies & Coffee revolves around its namesake. 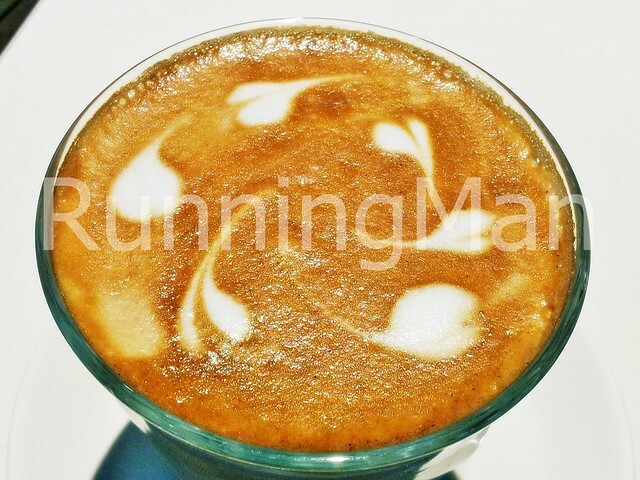 I found the coffee to be decent, nothing to shout about, and while the coffee beans are of good quality, their Latte Art is rather sloppy and unprofessional. 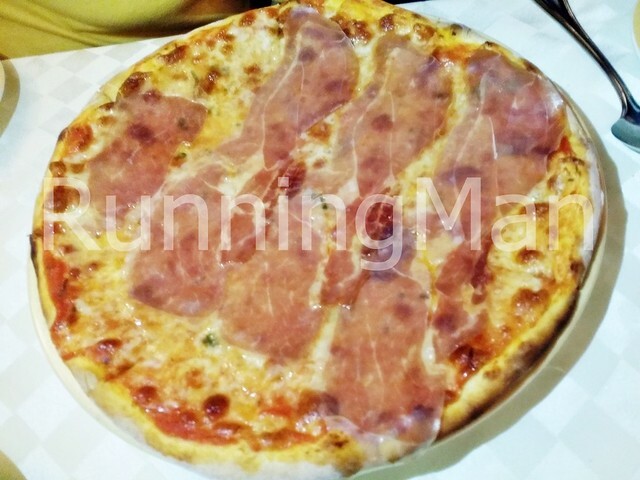 Their traditional pies are quite tasty, above average in quality, though portions are generous and filling. Worth the money! But their fusion pies really stand out for the unique flavour combinations! Even the decor revolves around the name, and is simple, minimal, and clean. 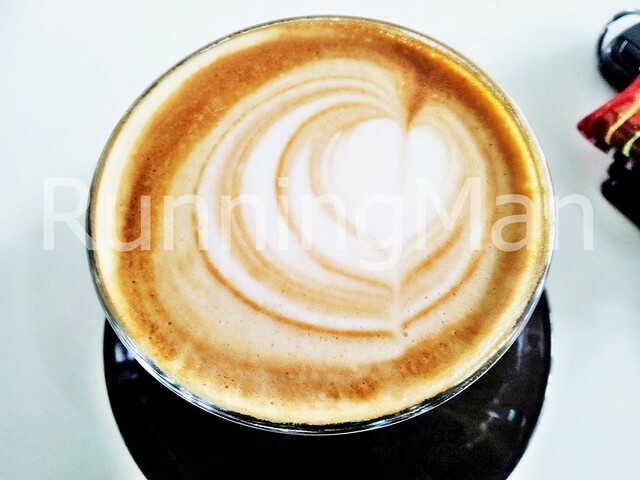 Decent Latte (SGD $5.80), semi-strong, fragrant, but the body is slighty weak. 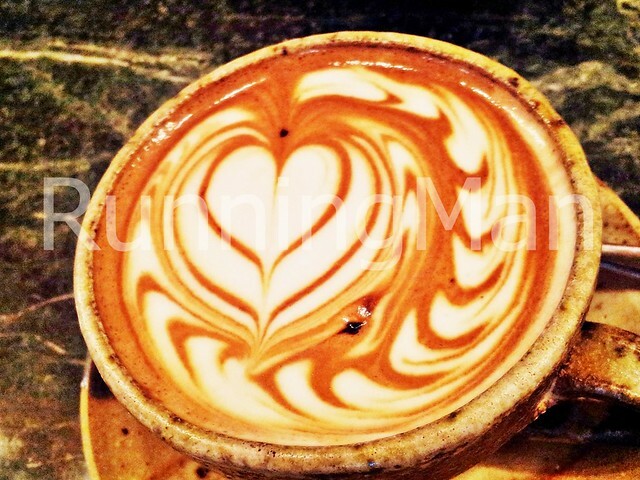 The Latte Art is below average. 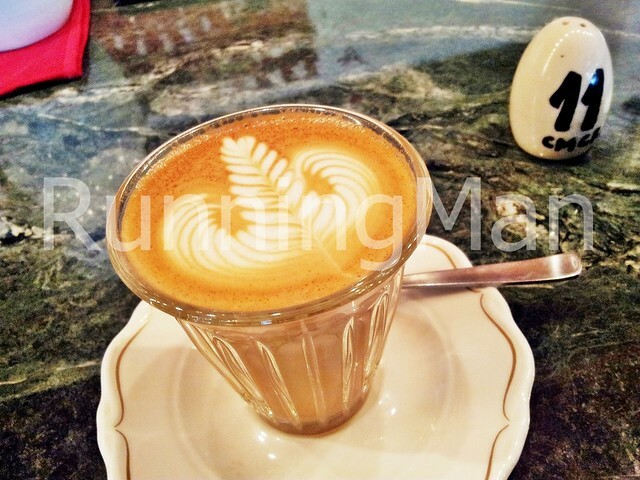 Go for the flavoured Latte instead, like the Latte Caramel (SGD $6.30), because the flavour enhances the otherwise weak coffee. The British English style of Hot Chocolate (SGD $6.50), fragrant, but thin, with a semi-rich, sweet chocolate taste. 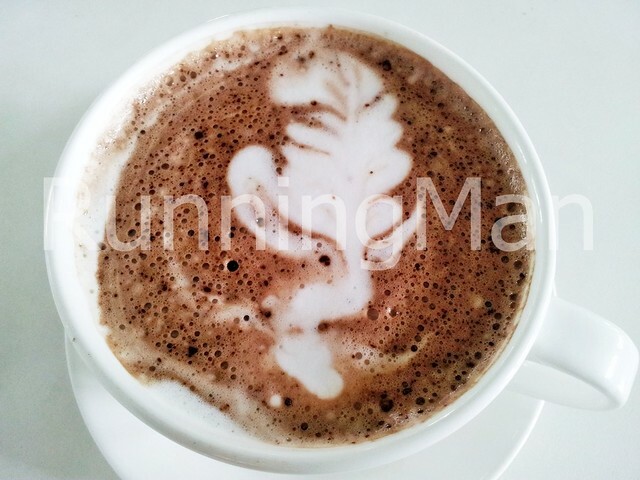 One of the few Hot Chocolate that comes with art, but it's poorly executed. The Honey Yuzu Tea (SGD $7) is light and fragrant, with a delicate, sweet taste of honey and yuzu citrus. 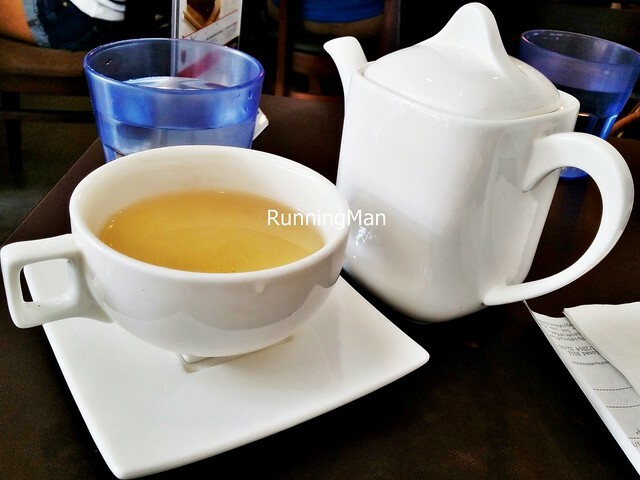 Calming and fruity, it's a perfect tea for the afternoon. 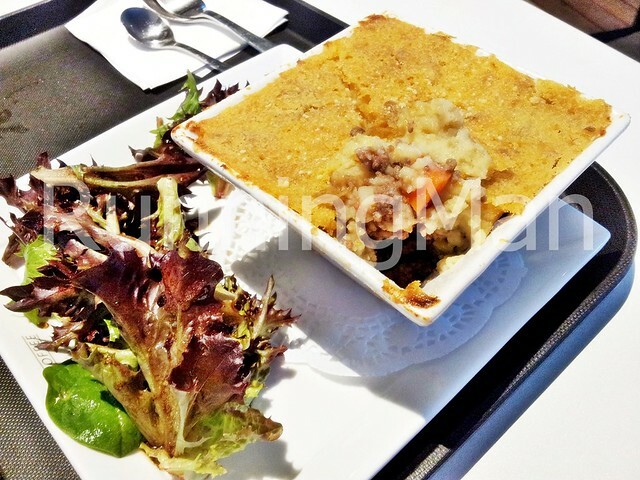 Made according to the traditional British English Shepherd's Pie Beef (SGD $11.90), with a generous, filling portion. Despite the classic combination of ingredients like minced beef, carrots, onions, and peas, the Shepherd's Pie Beef lacks in the overall taste, being slightly weak on the palate. Decent, but a little more gravy or seasoning might have helped. 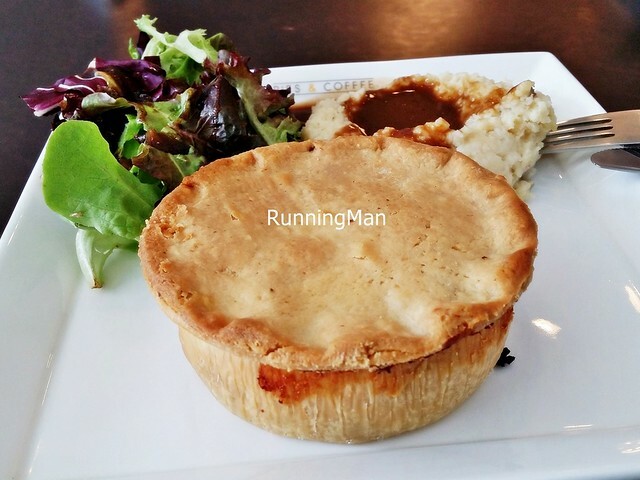 The Chicken And Cheddar Pie (SGD $11.20) has a buttery, flaky, house recipe crust. Enclosed within is juicy chunks of chicken and potatoes, though I felt the cheddar cheese was a little lacking. 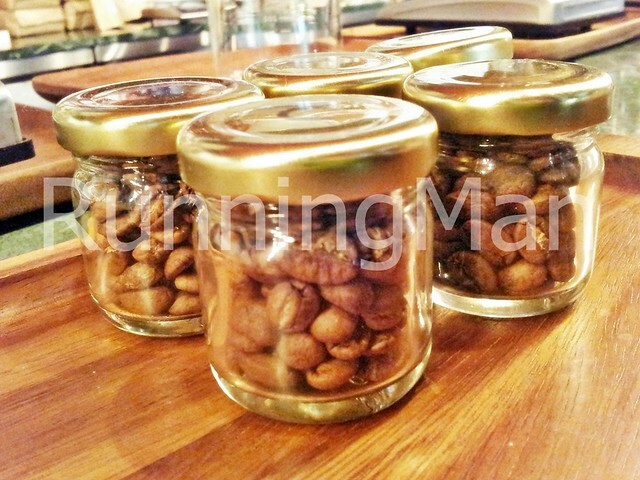 Excellent for a snack or takeaway, as it holds up quite well even upon reheating. 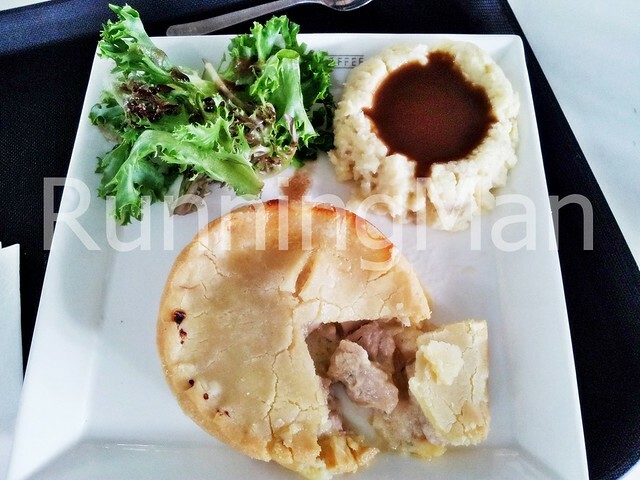 The fusion pies here are a delight, with their excellent balance of flavours. 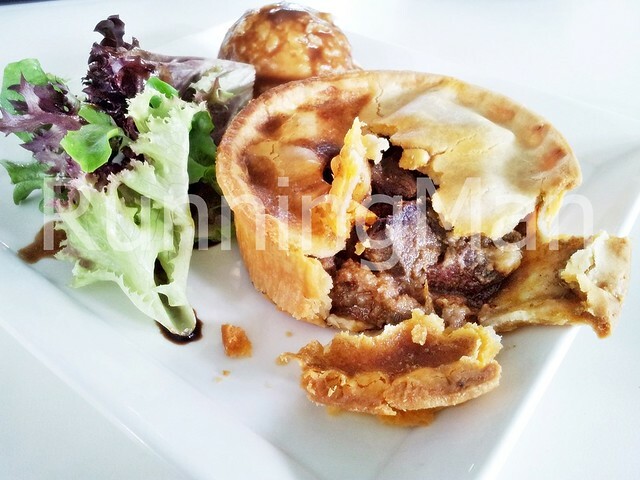 The Beef Rendang Pie (SGD $11.20) has chunks of tender beef, well marinated in the Rendang spices, not oily, and goes well with the buttery pastry pie crust. The festive Christmas Turkey Pie (SGD $11.20) is delightful, with grilled turkey in a fragrant garlic rub, that is still moist. 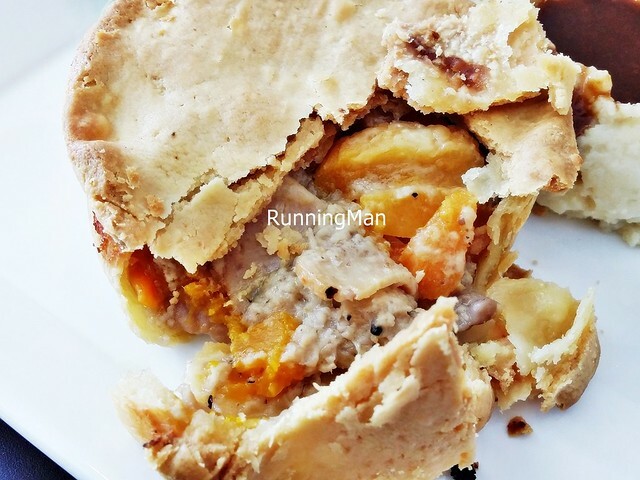 Packed into a crumbly pie crust along with sweet, soft pumpkin and apricot, finished a slightly savoury chestnut stuffing. Excellent! 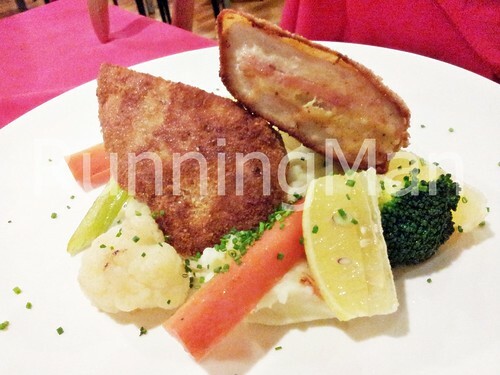 The Charcoal Crust Curry Chicken Pie (SGD $11.20) is a stunning contrast of colour, let down by flavour. 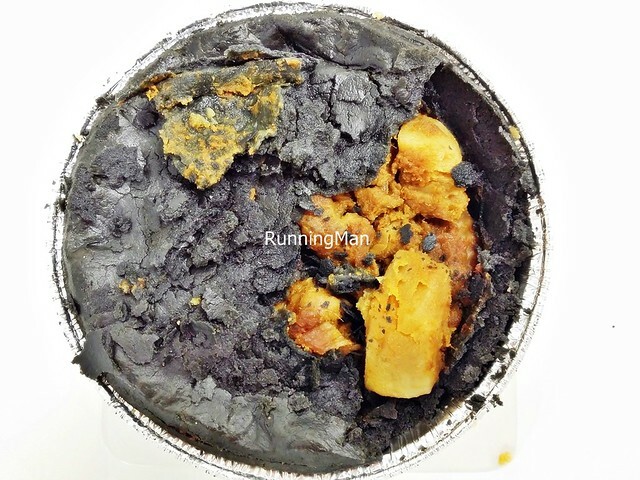 The curry chicken is properly spiced, but average in taste, and it's hindered by the strong flavour of charcoal in the pie pastry crust, which makes this rather unappealing. Tone down the charcoal flavour, and it could be much better. A unique partnership between Harry Grover, Five Senses Coffee (Australia), and the Spa Esprit Group, Common Man Coffee Roasters strives to make top-notch coffee accessible to the general public, in a comfortable, casual bistro setting, along with delicious food and friendly service. Pushing the boundaries and experimenting with various coffee flavour profiles, Common Man Coffee Roasters looks set to forge new paths in the coffee arena. 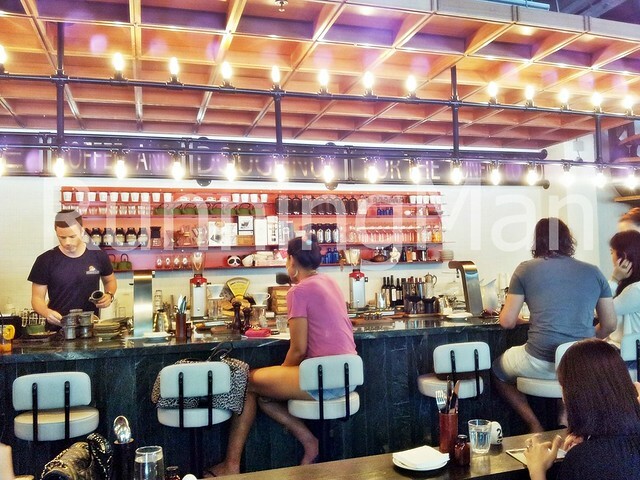 Ambience at Common Man Coffee Roasters is casual, with bright lights and wooden furniture lending a casual, laid-back vibe to the place. Outdoor dining is available, as is bar counter dining, and Common Man Coffee Roasters generally is buzzing with activity. 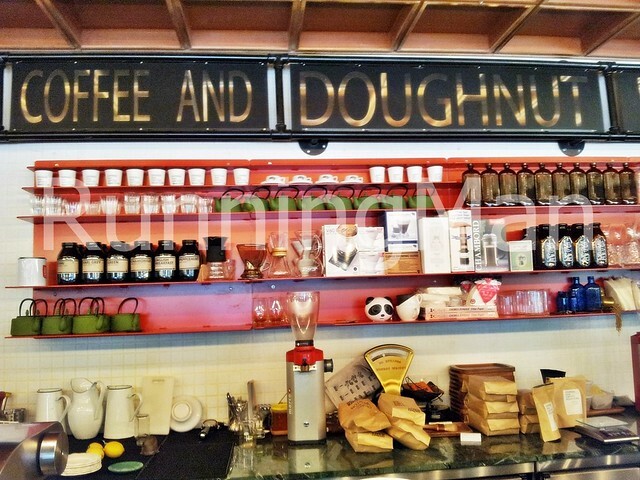 Coffee is used as the decor theme, and I like that the laboratory apparatus gives the counter a 'science lab' feel. 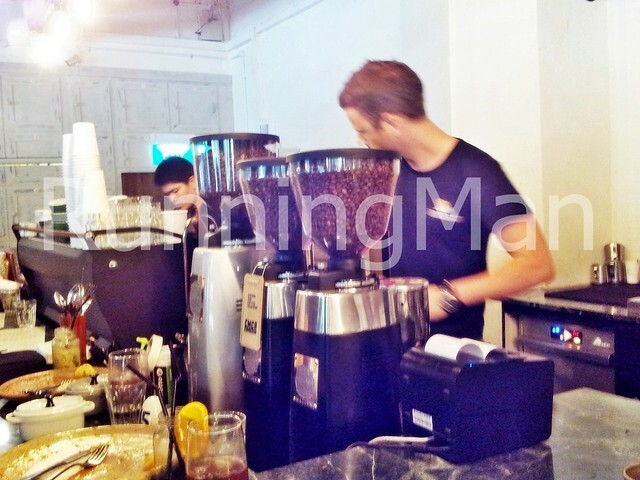 Service at Common Man Coffee Roasters is friendly, though staff are generally rushing about because of the busy place. But they do give you their full attention when speaking, and don't look distracted. Food is prepared to order, but the wait time is also relatively short. I like that staff seem friendly and chatty. 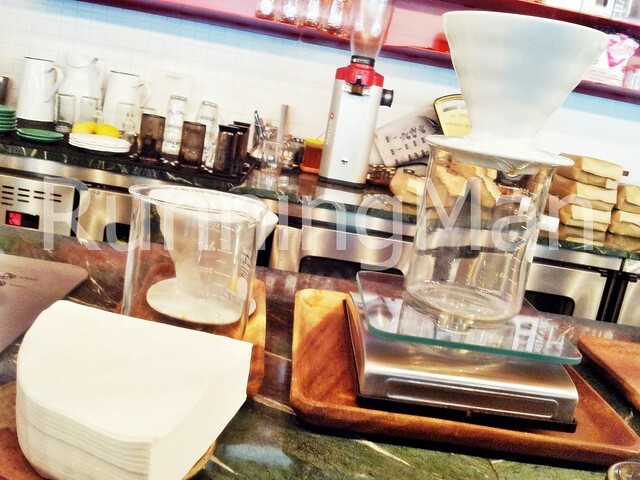 The speciality at Common Man Coffee Roasters is of course, coffee. 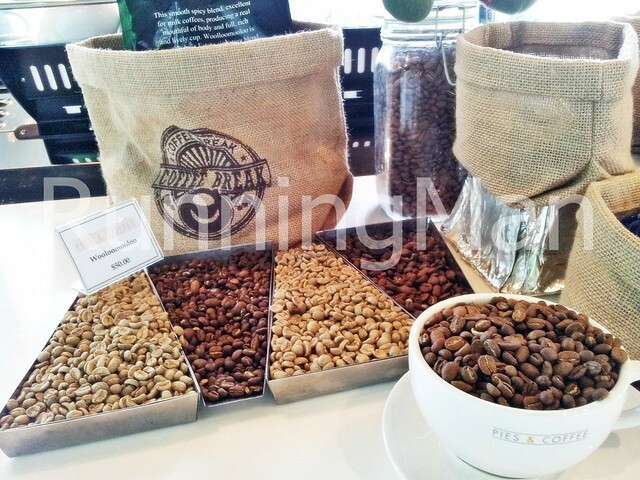 Carefully sourced coffee beans are used to make each flavourful cup. But the food available is also decently priced, tasty, and portions are generous. 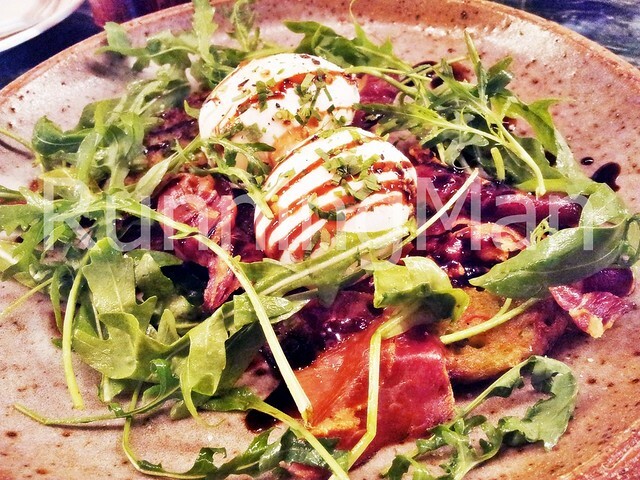 Common Man Coffee Roasters does a rather healthy all day-brunch menu, as most dishes come with loads of salad. A big sign hangs over the counter, 'Free Coffee And Doughnut For The Unemployed', and I wonder if anyone has yet taken them up on this offer. 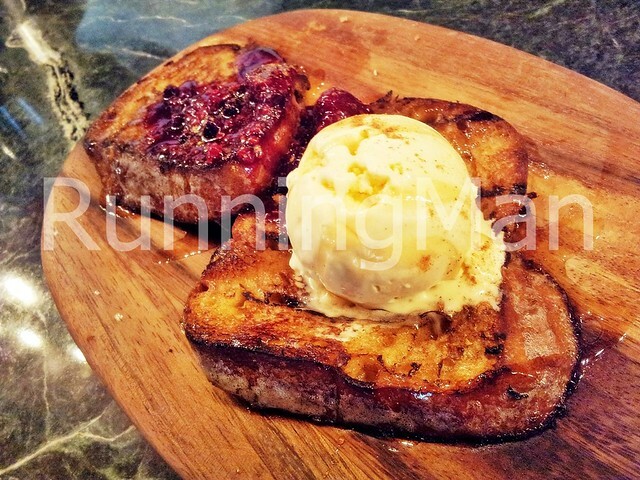 The Fluffy Brioche French Toast, Fresh Berries, Premium Maple Syrup & Kapiti Vanilla Ice Cream features an excellent, soft brioche toast, covered in berries and maple syrup, with a side of citrus orange laced vanilla ice cream. Lovely, both as a breakfast item, or as a dessert. The Green Pea Fritters, 2 Poached Organic Eggs, Crispy Pancetta, Rocket & Balsamic Syrup has 2 green pea fritters topped with softly poached eggs, covered in a salad. Looks really healthy and garden-like, and I loved the unique flavour of the green pea fritters! 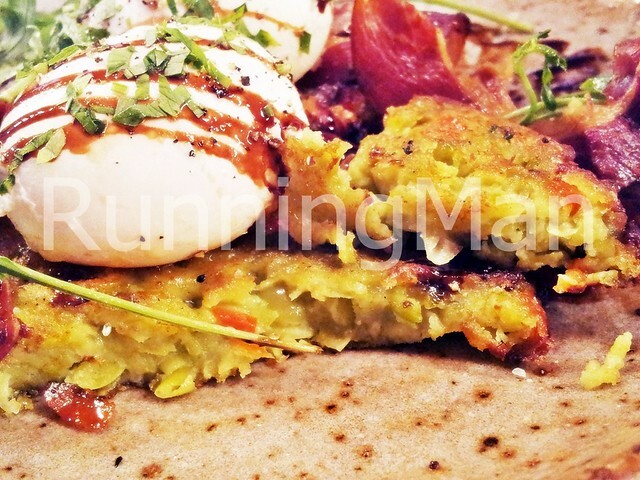 The eggs were perfectly executed, and I had fun using the fritters to mop up the runny yolk. 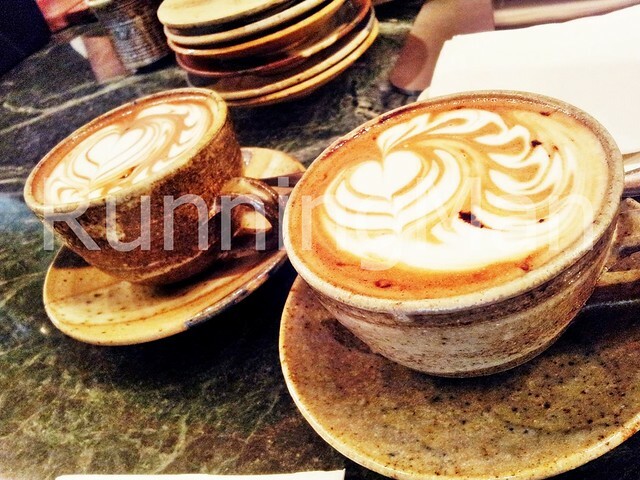 Artisinal Coffee is the speciality here, and both the Mocha and Latte are full-bodied and fragrant. 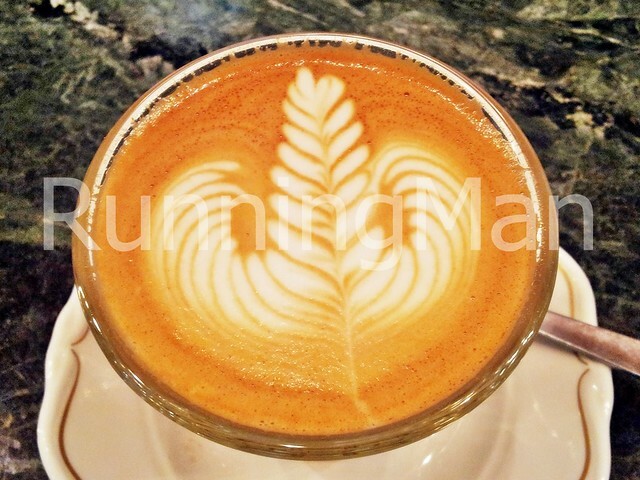 The Latte Art is just beautiful and so precise, making each cup look enticing. Only available during lunch or dinner, the Grilled Chilli Boneless Chicken With Crushed Avocado Salsa And Caramelised Lemon was slightly inconsistent. It seems they grilled the chicken according to thickness, with resulted in a fantastic, juicy piece for the larger slice of chicken, and a slightly dry piece for the smaller slice of chicken. But I loved the fresh avocado salsa! The caramalised lemon juice enhanced the meat with a nice smoky flavour and tangy taste. The Conversation Prism 2013, version 4.0, developed by Brian Solis, in partnership with Jesse Thomas of JESS3. 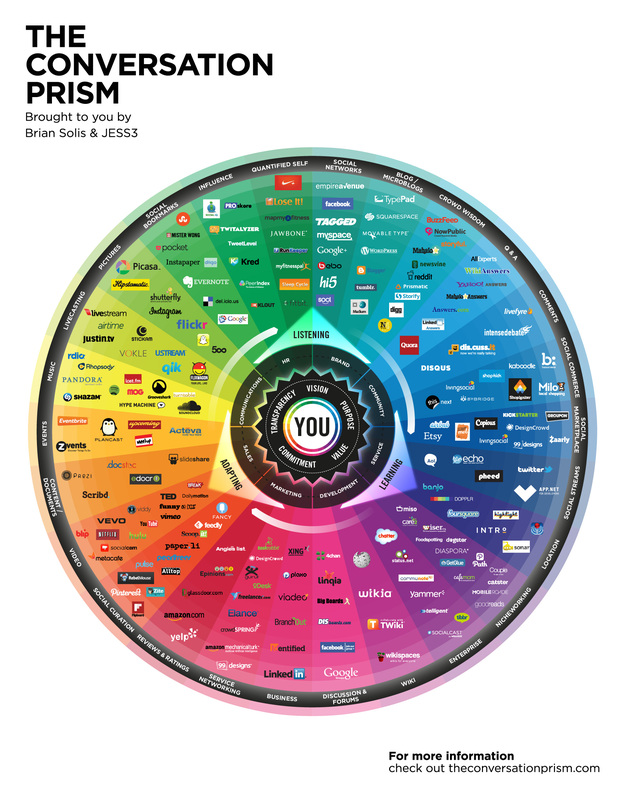 The Conversation Prism is a visual map of the social media landscape. 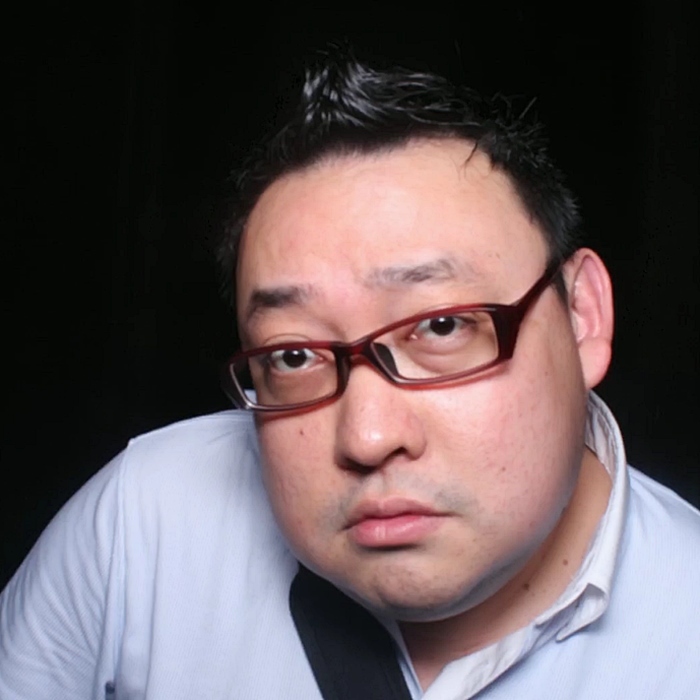 It’s an ongoing study in digital ethnography that tracks dominant and promising social networks and organizes them by how they’re used in everyday life. Attended with representatives from HungryGoWhere, SG Food On Foot. Budget about SGD $50 ++ per person. 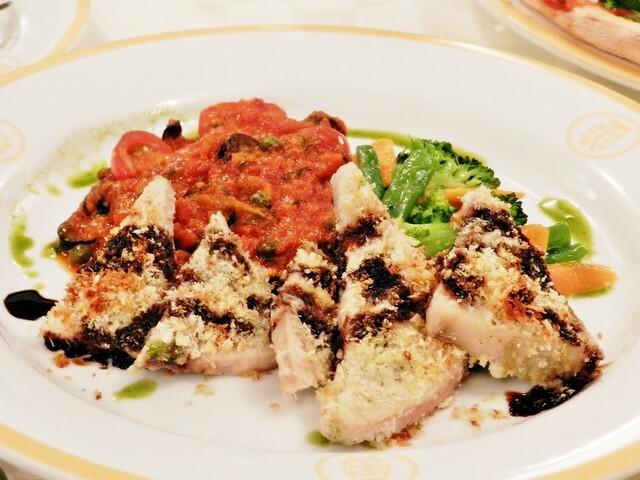 To celebrate the festive season, Pasta Fresca Da Salvatore is offering a limited time, 5-course Christmas menu till the end of December 2013. 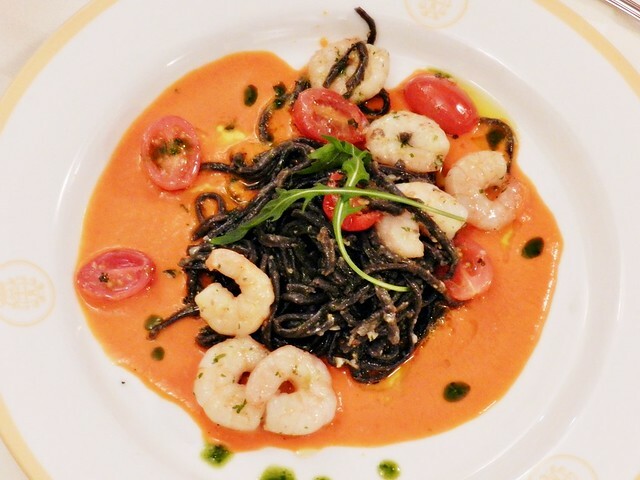 Inspired by dishes prepared in South Italy, Pasta Fresca Da Salvatore imports only the freshest ingredients for this special menu. Ambience at Pasta Fresca is designed to be rustic, comfortable and homely, making you feel as if you've just stepped into an Italian friend's home. Space is carefully laid out and the menu is planned to allow guests to socialise and linger over conversation. 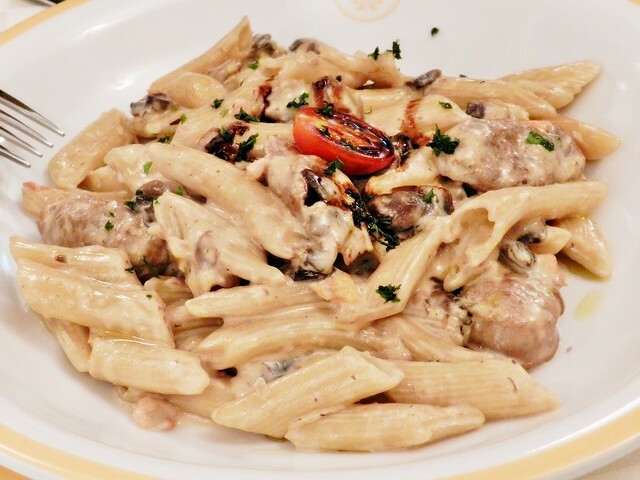 Service at Pasta Fresca flows well with the homely theme, as staff are friendly and welcoming. 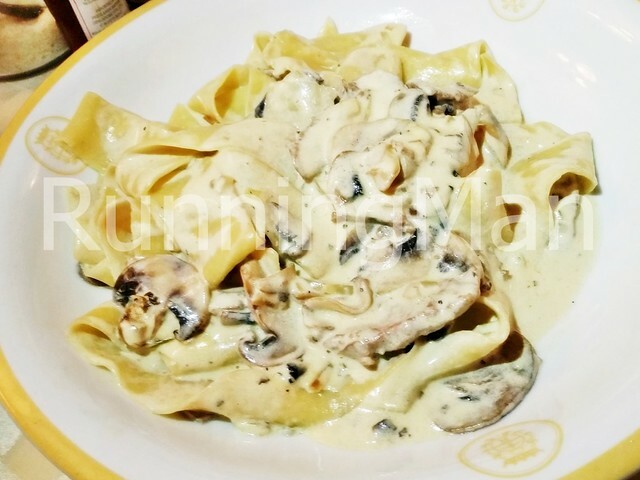 Attentive and observant in their service, I especially liked that Pasta Fresca staff are unobstrusive, making sure that your dining experience is comfortable. I liked that they check, by feel of your water glass, whether you were drinking warm or cold water. 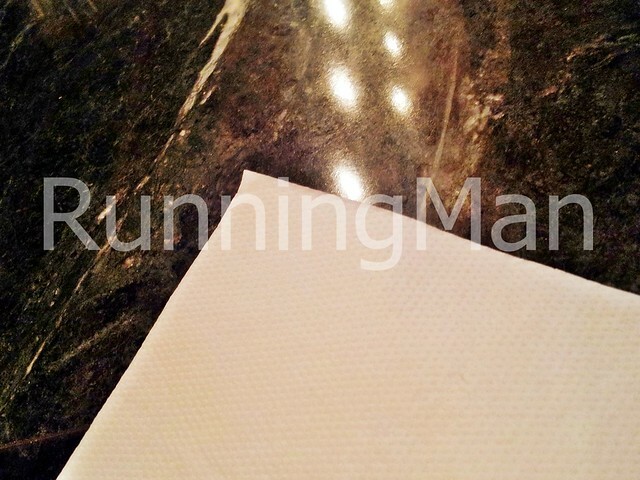 This attention to details was evident throughout the meal. 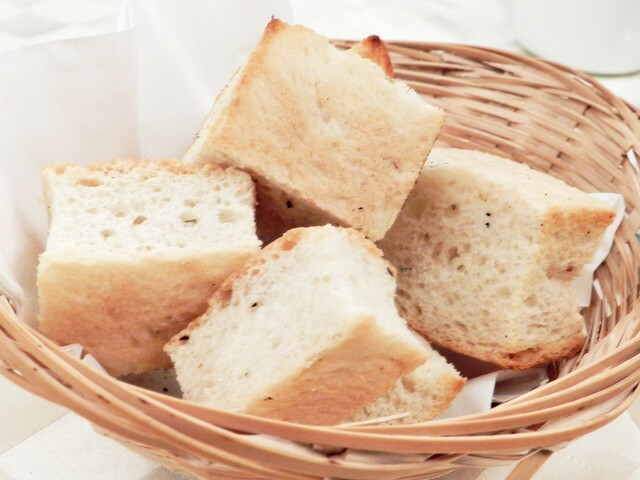 Start the traditional way with some bread, dipped in olive oil or vinegar. 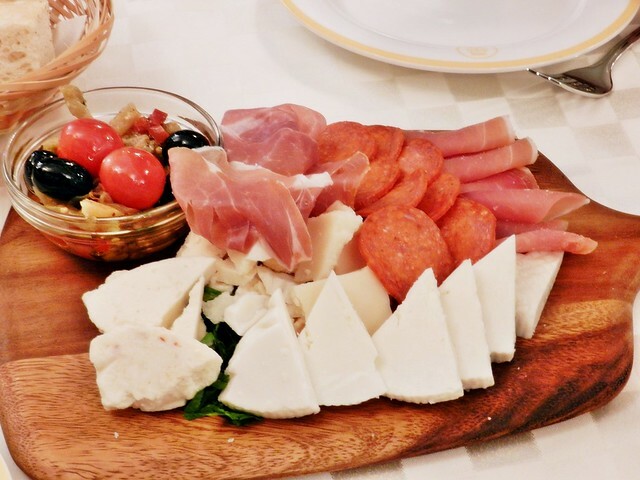 The Tagliere Misto, from the regular menu, is a platter of cold cuts, including high quality pork salami and spek, with cheddar, goat cheese and whole olives. 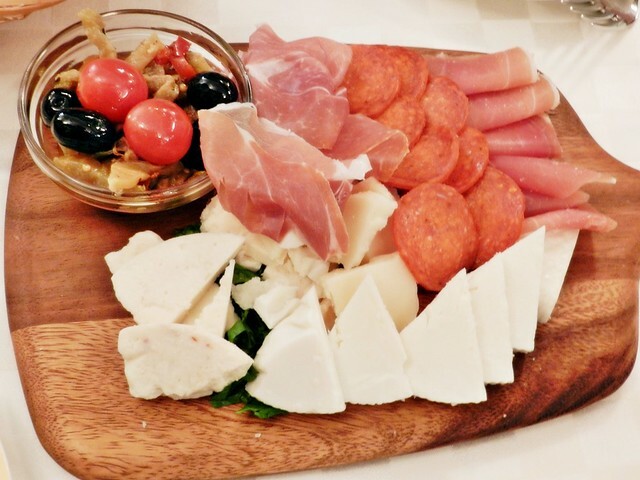 I loved the authentic taste of the cold cuts, the flavour of the meat really shines through. 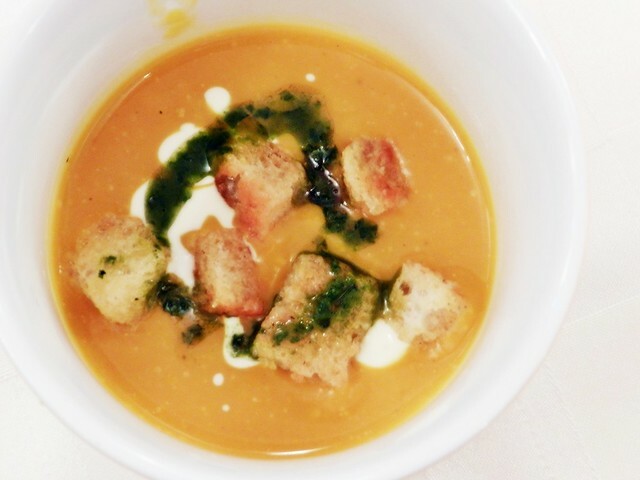 The Zuppa Di Zucca E Crema Di Latte is the soup starter on the Christmas menu. A rich and creamy pumpkin soup is served in a cute mug, with cream and herbed croutons. 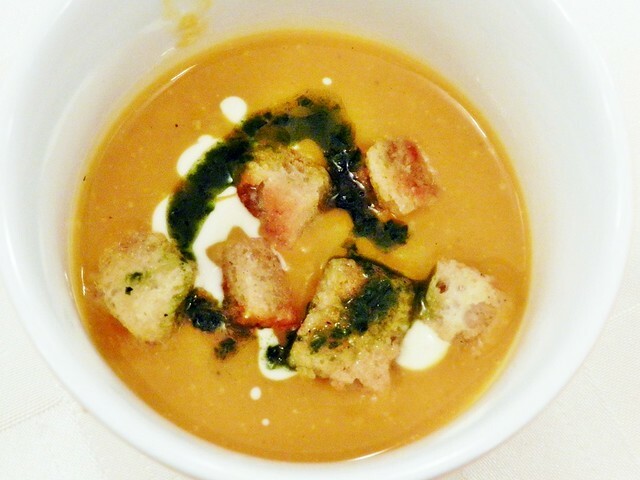 I liked that the soup was well balanced, not too overpowering or underwhelming, and that you can taste the pumpkin flavour. 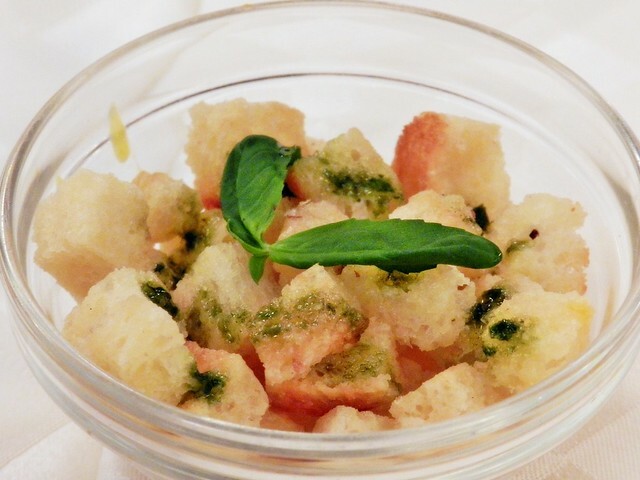 You can also request for additional croutons. 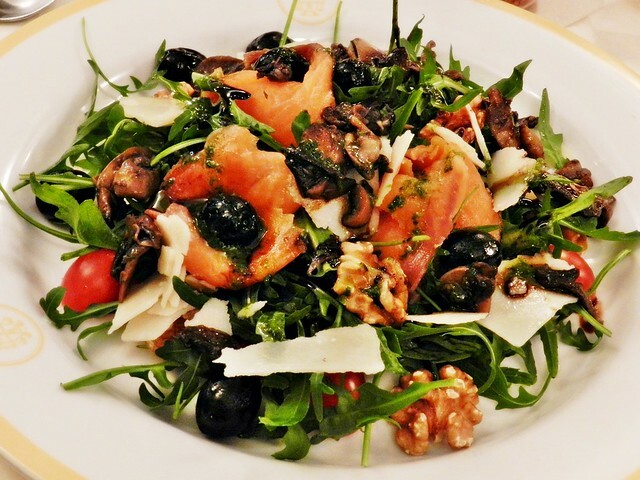 The salad on the Christmas menu, the Insalata Di Rucola E Salmone Affumicato Con Funghi Trifolati, Noci, Pomodori Cilliegia E Parmigiano is a burst of freshness with fresh rucola leaves, sauteed button mushrooms, walnuts, cherry tomatoes, whole olives, parmesan shavings and topped with smoked salmon and a dash of balsamic reduction. 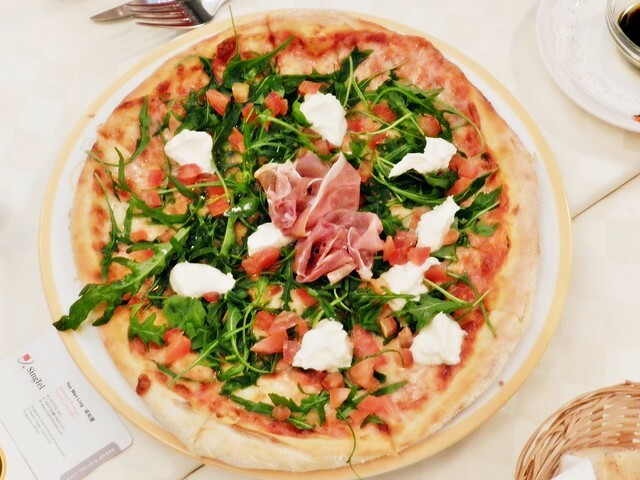 The Mascarpone is a White Pizza on the regular menu, with mascarpone cheese, parma ham, fresh rucola leaves and tomatoes on a well toasted crust of medium thickness. 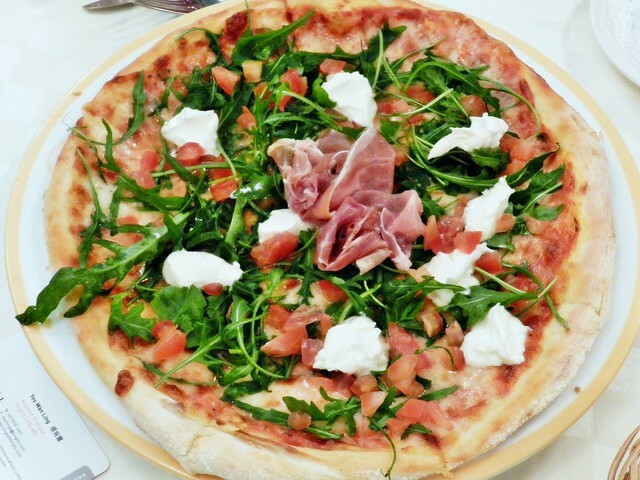 I liked the creamy mascarpone cheese paired with the vegetables and ham, but the base, being doughly, was quite filling. 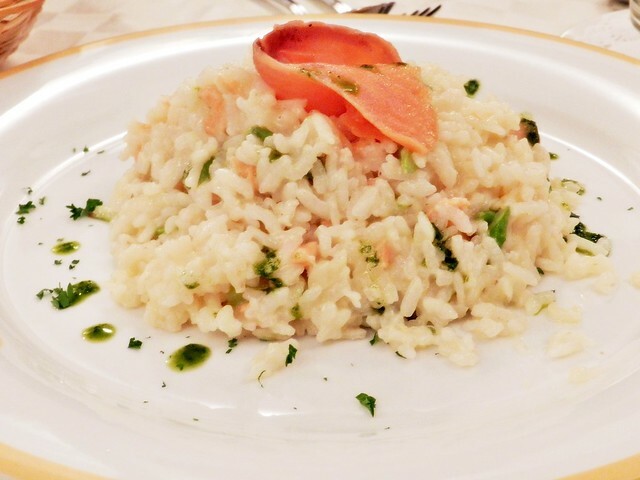 The Risotto Asparagi E Salmone on the regular menu is a creamy salmon and asparagus risotto with onions and white wine. 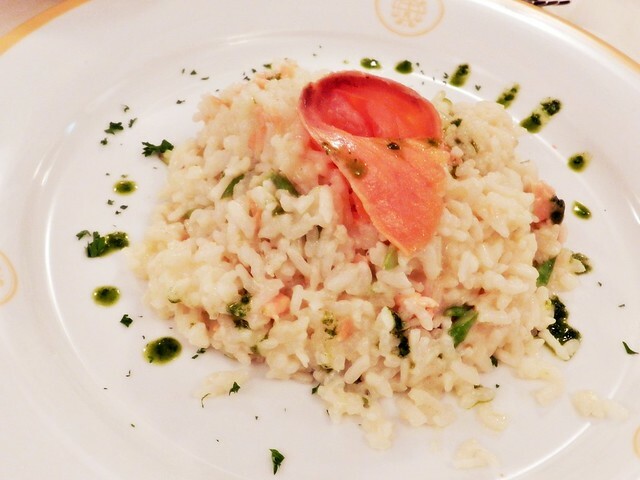 The texture of the risotto isn't authentic, being slightly thicker and with less bite than a true Italian risotto, but apparently, the chef has tweaked the recipe to suit the Asian palate. 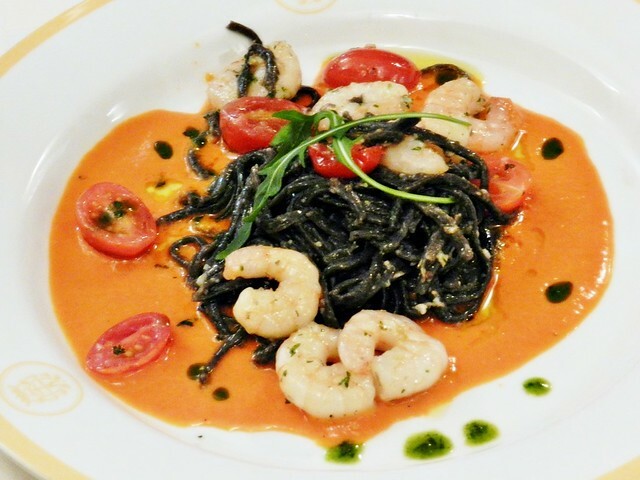 The Linguine Al Nero In Salsa Gamberi E Peperoni from the Christmas menu has home made squid ink linguine with fresh cherry tomates in a red pepper sauce, which was excellent! Probably my favourite dish of the evening! The prawns were big and meaty, but slightly lacking in the crustacean taste. 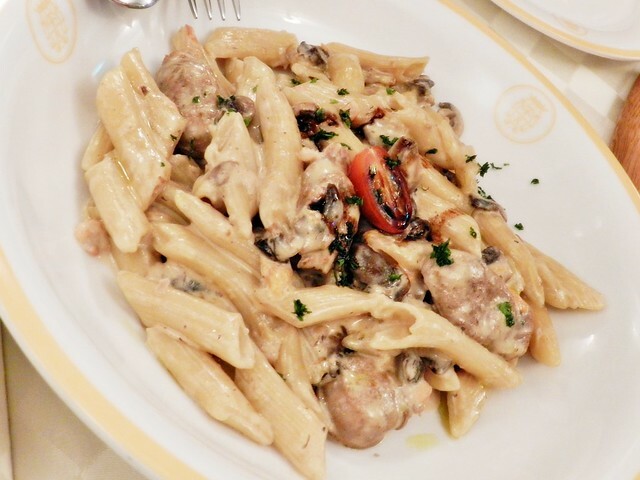 The Al Funghi E Salsiccia, or penne pasta in a cream sauce with sauteed mushrooms and home made Italian sausage, is from the regular menu. 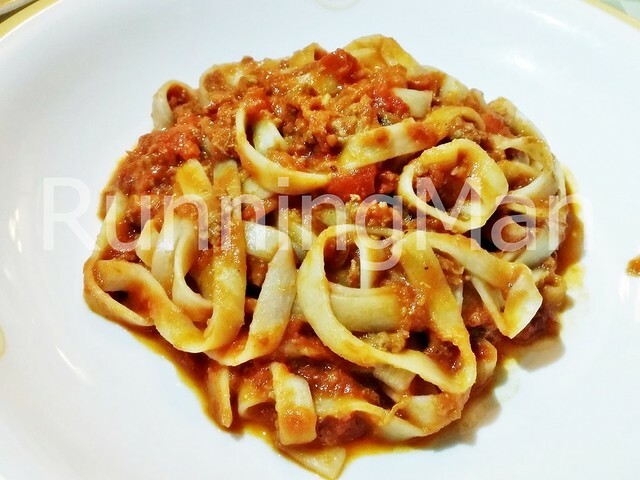 Loved the taste of the home made sausage, and overall this dish is quite filling! 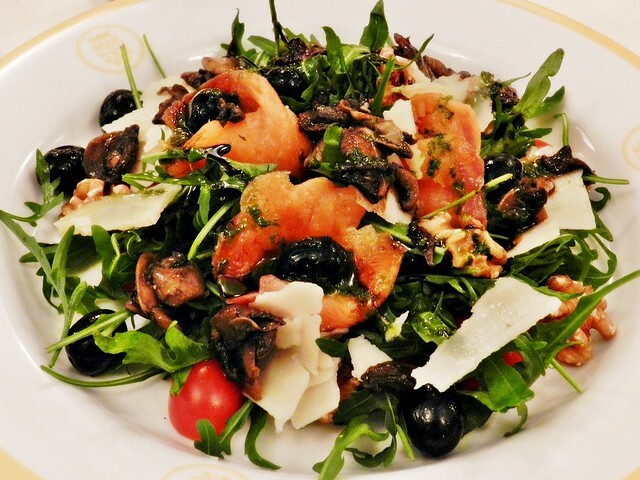 One of two mains on the Christmas menu, the Tacchino Al Balsamico Con Rucola E Pomodori Ciliegia Su Verdure Grigliate is the slightly weaker of the two. 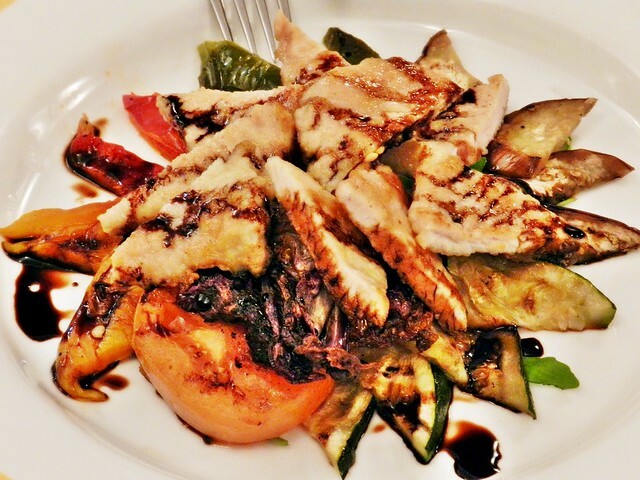 The grilled turkey breast was slightly dry, though the balsamic reduction did lift the flavour. 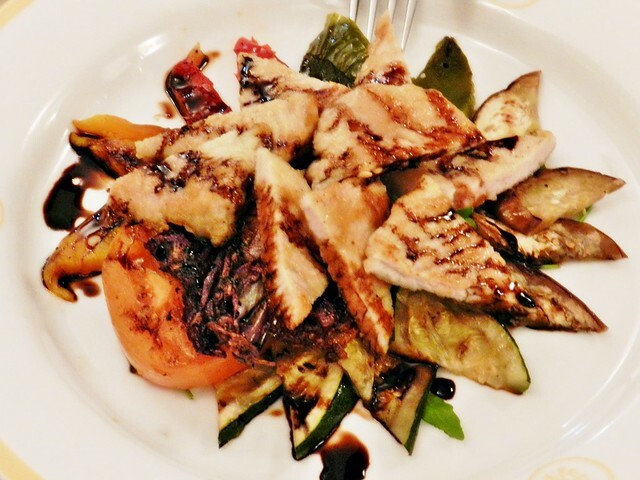 The salad of fresh rucola leaves, cherry tomatoes, and grilled tomatoes, zucchini and eggplants were well executed, but the abundance of vegetables made this dish feel more like a salad than a main. 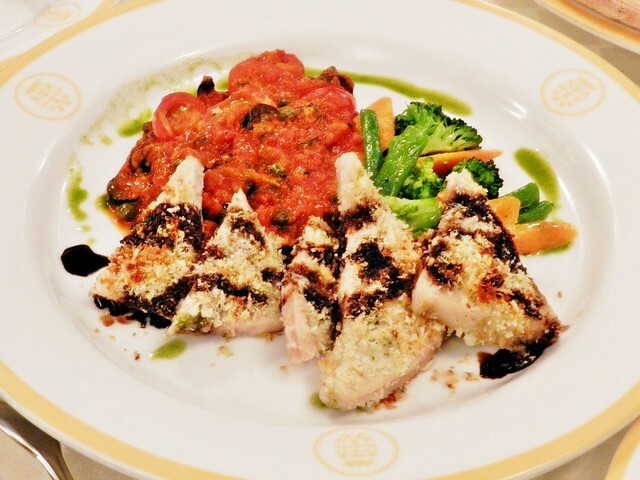 The other main on the Christmas menu, the Pesce Spada In Panura Su Salsa Alla Mediterranea E Verdure Saltate Al Burro E Prezzemolo features pan fried breaded swordfish fillets, with buttered broccoli and carrots in a pomodoro tomato sauce. I liked that you can taste the tomato is the sauce, a sign of freshness and made by hand, rather than from the canned variety. I also like the texture of the pan fried breaded swordfish fillets, semi-firm but yields to the bite. 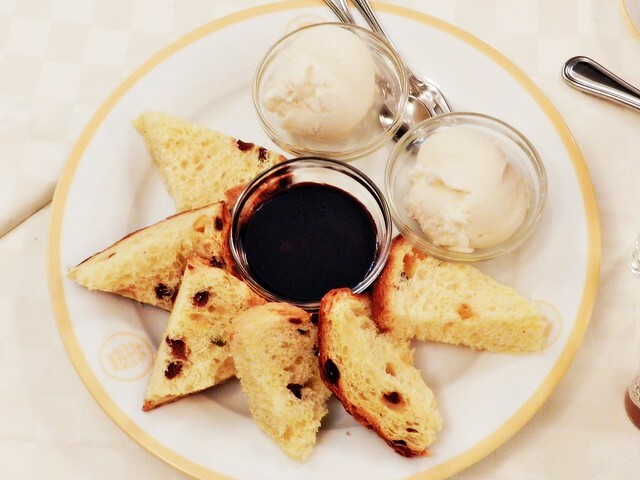 The dessert on the Christmas menu, the Panettone Natalizio Caldo Con Gelato Alla Vaniglia E Salsa Di Cioccolato is a traditional Italian panettone, or sweet bread loaf, that is quite light in texture. 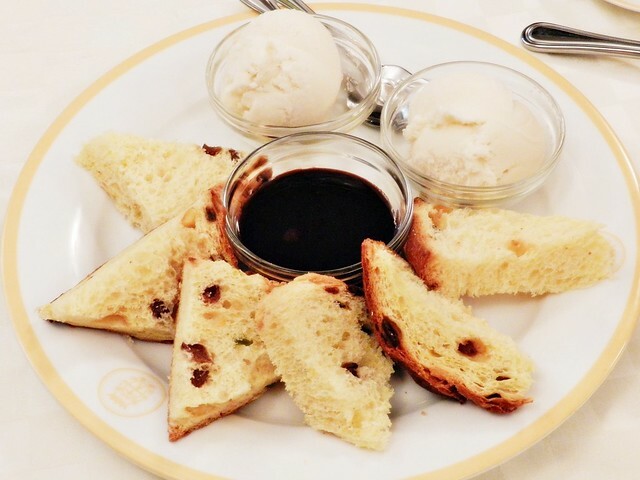 Served with vanilla gelato and a thick chocolate sauce, this light dessert is perfect to end a heavy meal. Pasta Fresca Da Salvatore can be considered a mid-range Italian restaurant, not too cheap, and not too expensive. 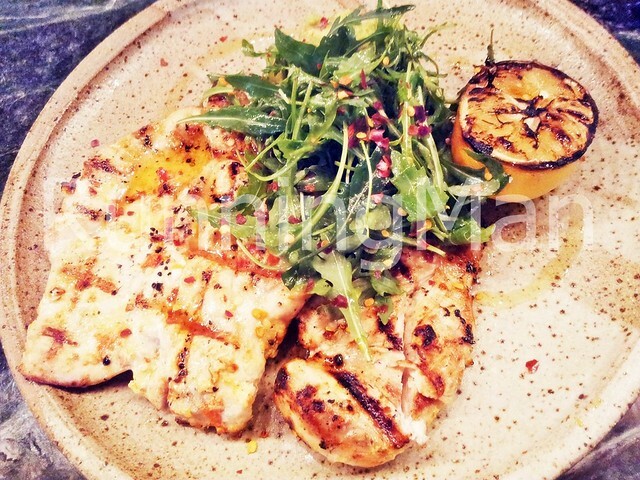 But you can be assured of a good quality meal here, featuring clean flavours, as ingredients are treated with respect. I asked how Pasta Fresca Da Salvatore ensures the same level of quality across its outlets when the hand make ingredients, or prepare dishes. Apparently, the head chefs of each outlet, who are all Italian, meet regularly to ensure standards are consistent, as well as swap ideas and recipes. 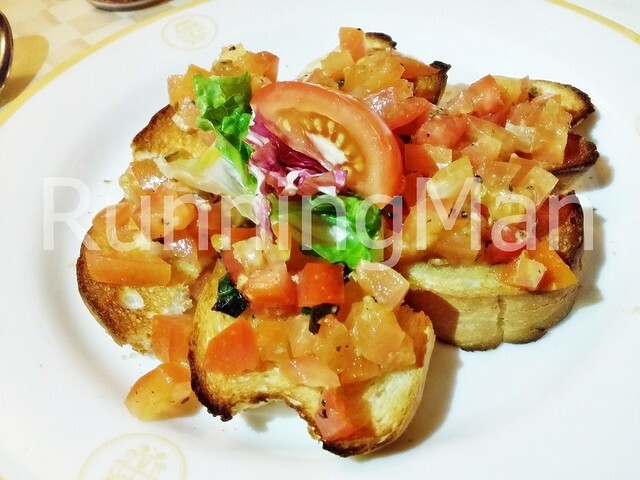 Pasta Fresca Da Salvatore Christmas menu is only available till the end of December 2013, and this 5-course set meal costs SGD $39.90 per person. 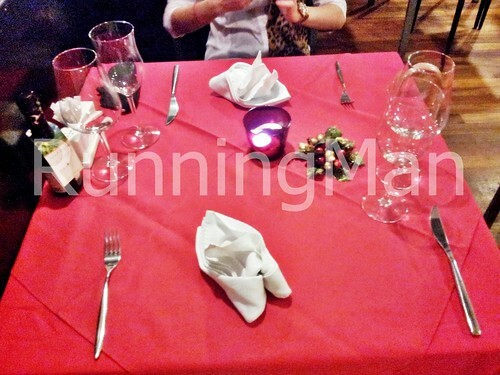 They also offer wine to pair with the dishes. 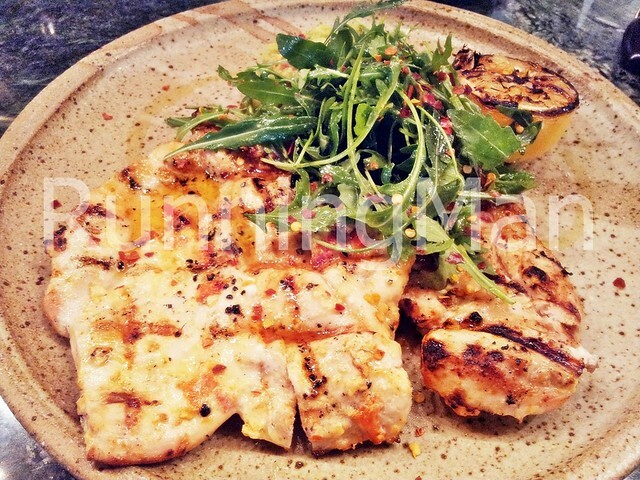 The items from the regular menu are available at all their outlets. Paid another visit to Pasta Fresca Da Salvatore. I must say service is just as good!